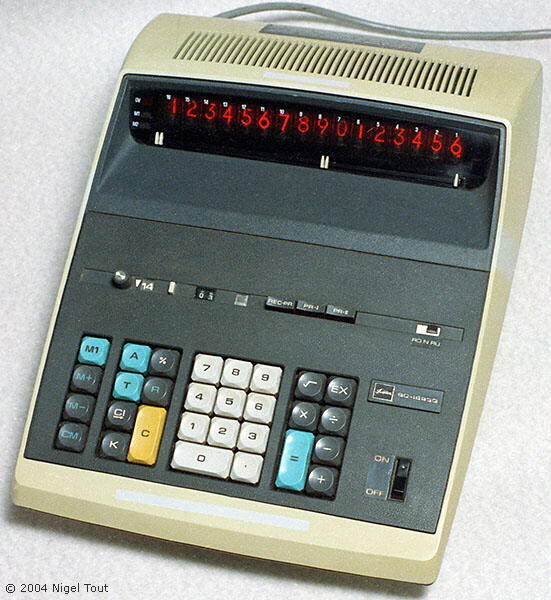 Toshiba manufactured electronic desktop and hand-held calculators from the late-1960s to the mid-1970s. Calculators are usually labelled Tokyo Shibaura Electric Co., or later Toshiba Corporation. Toshiba Business Machine Co. Ltd. was a company within the Toshiba group, and marketed a range of calculators under the 'Homeland' brand. These appear to have been sourced from OEM companies. A stylish, 30-step programmable calculator dating from about 1969, using 16 Nixie-type display tubes and about 100 integrated circuits. 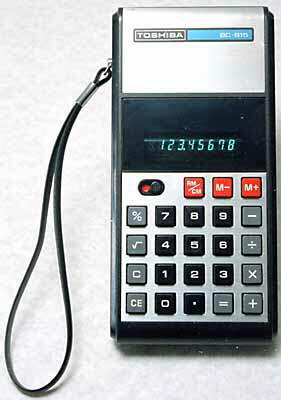 A typical Toshiba hand-held calculator, dating from the mid-1970s. For further photographs of Toshiba hand-held calculators see the Calculator Photo Library on this site. 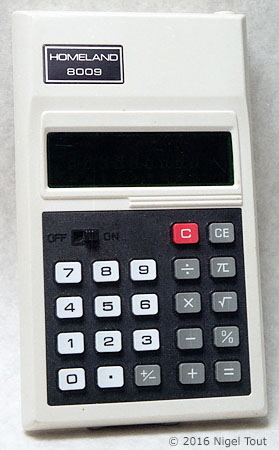 Marketed by Toshiba Business Machine Co. Ltd.
A hand-held calculator with green VFD from the mid-1970s. For further photographs of Homeland hand-held calculators see the Calculator Photo Library on this site.